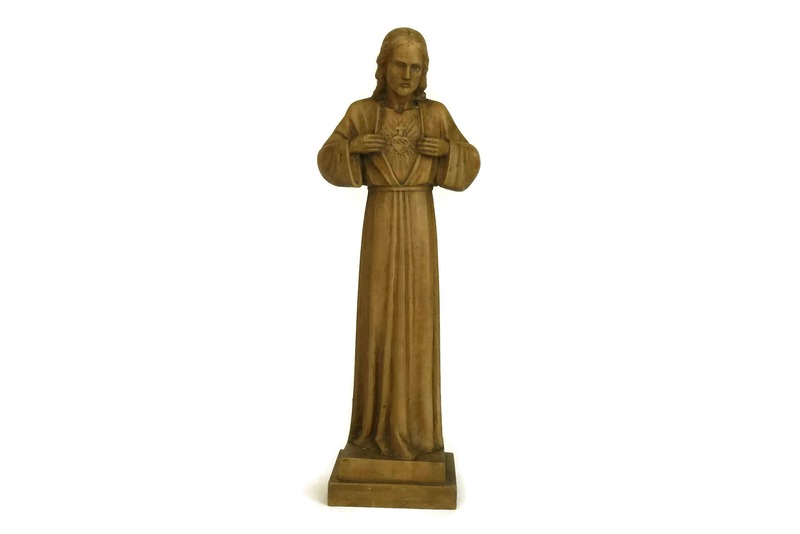 Sacred Heart of Jesus Statue by Hartmann. 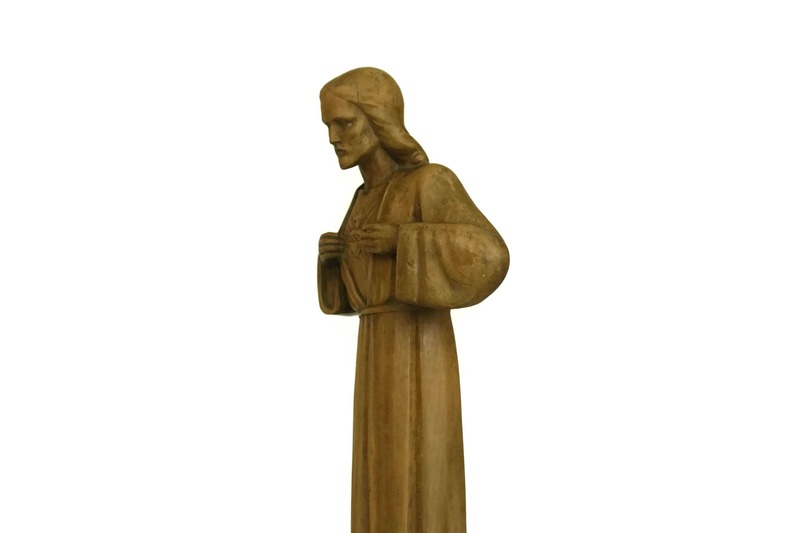 Carved Wood Christian Art Figure. 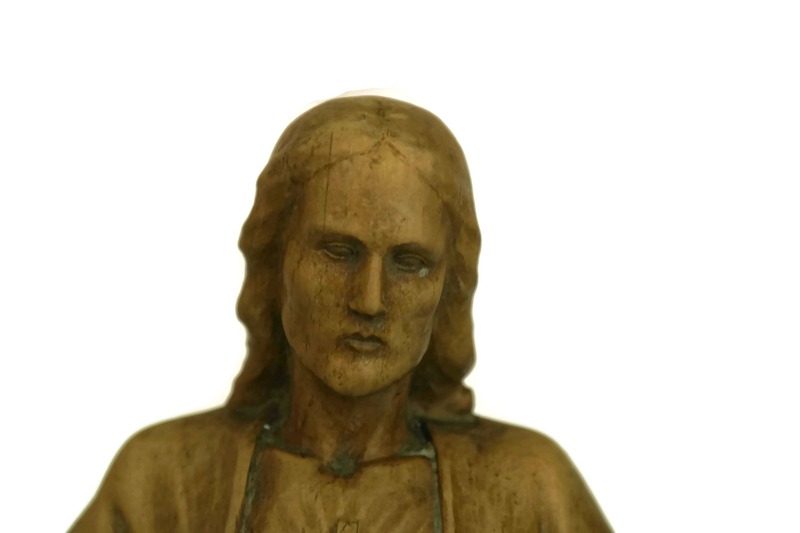 Vintage French Religious Decor and Gifts. 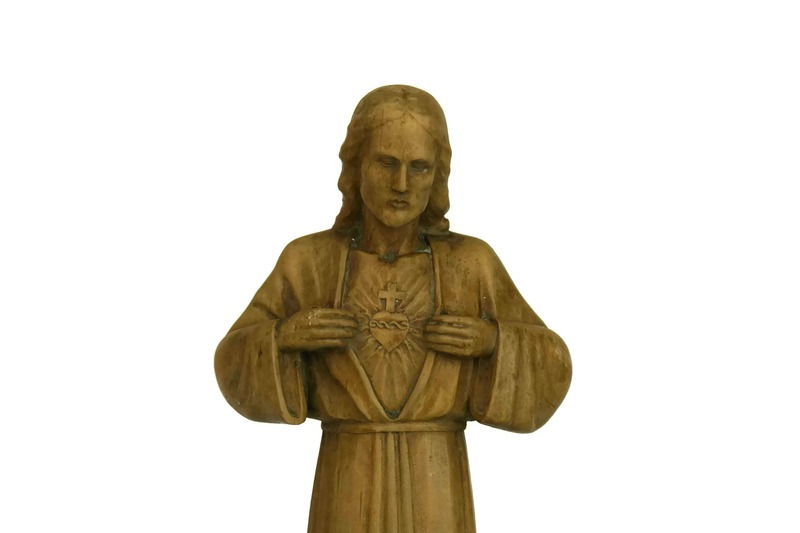 A beautiful Sacred Heart of Jesus statue created by Hartmann from carved wood. 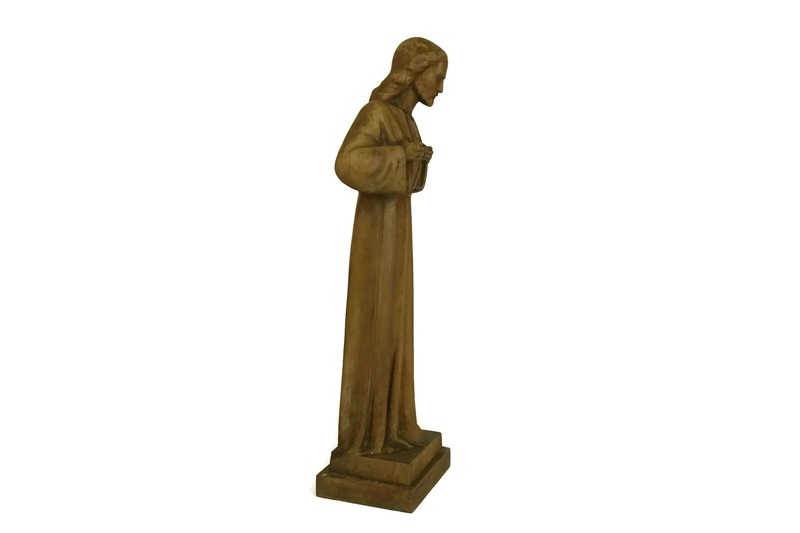 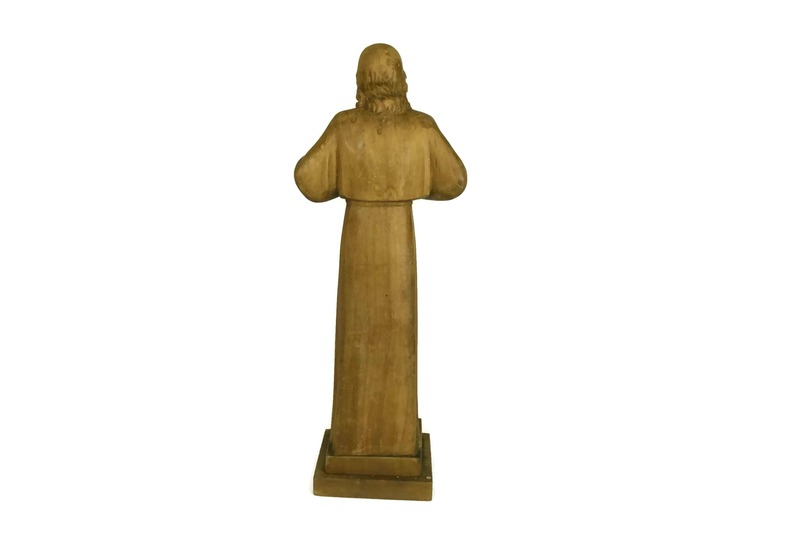 The vintage Christian art figure features fine details and has been carved from golden brown wood. 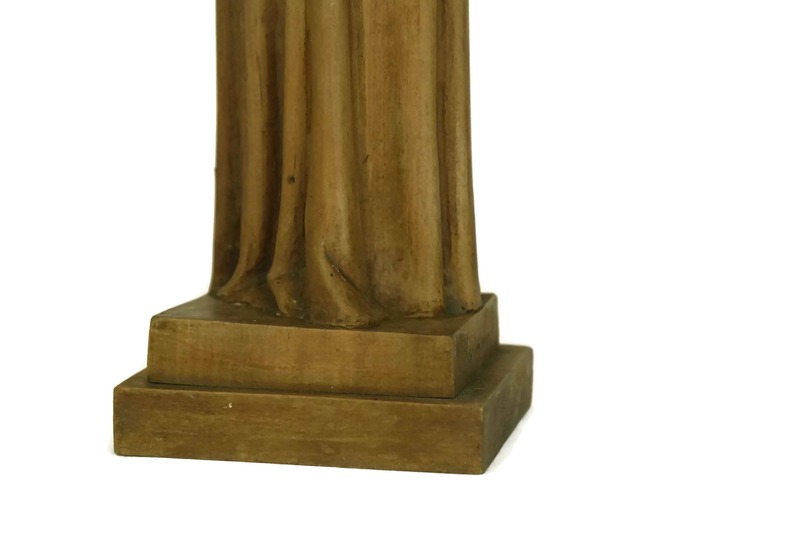 The pedestal base has the inscribed name Hartmann. 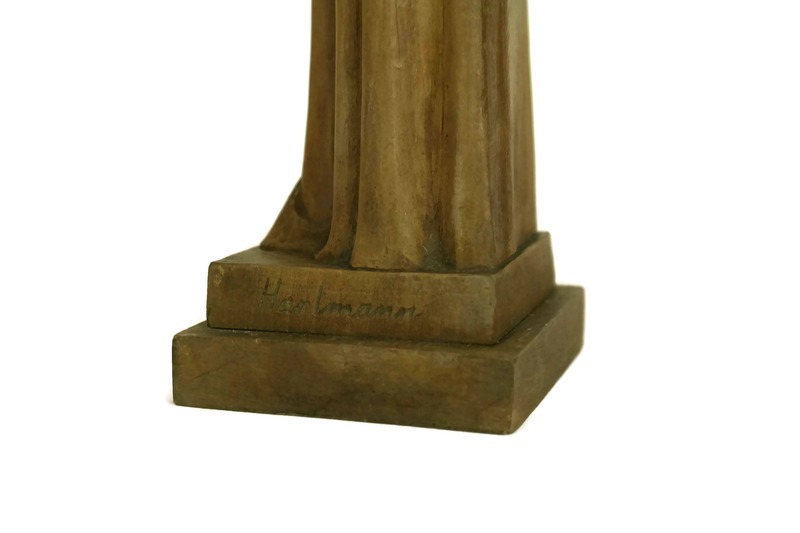 Hartmann was the name used by the couple of French religious sculptors Suzanne Laurens (1904 - 2003) and Jacques Hartmann (1908 - 1994). 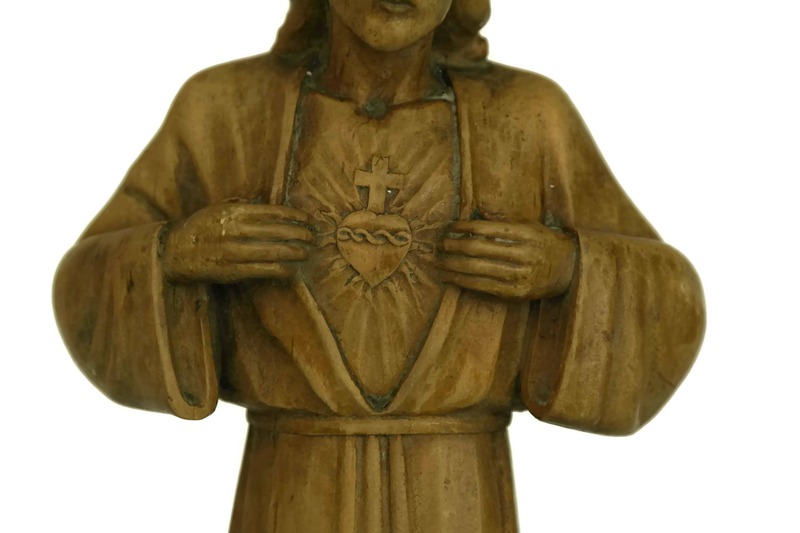 The Sacred Heart statue is in good condition with signs of age including patina. 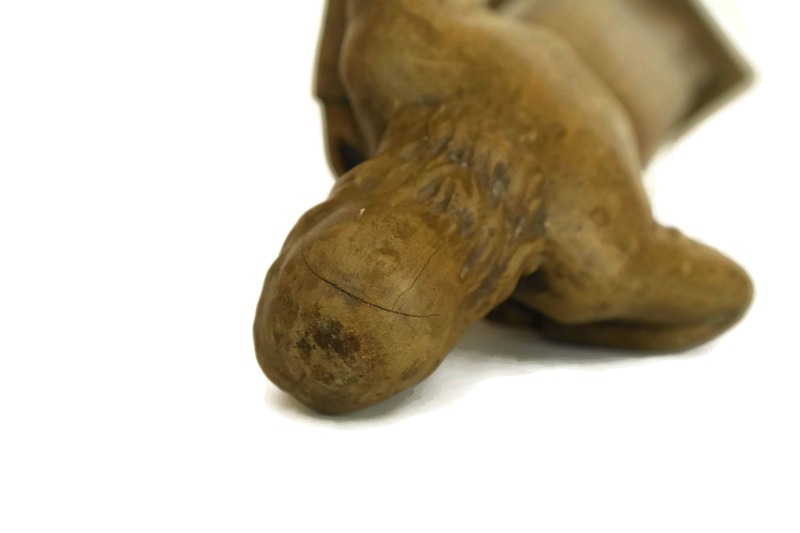 There are thin hairline cracks to the figure's head and the base.